Little Ditty had quite the day yesterday. 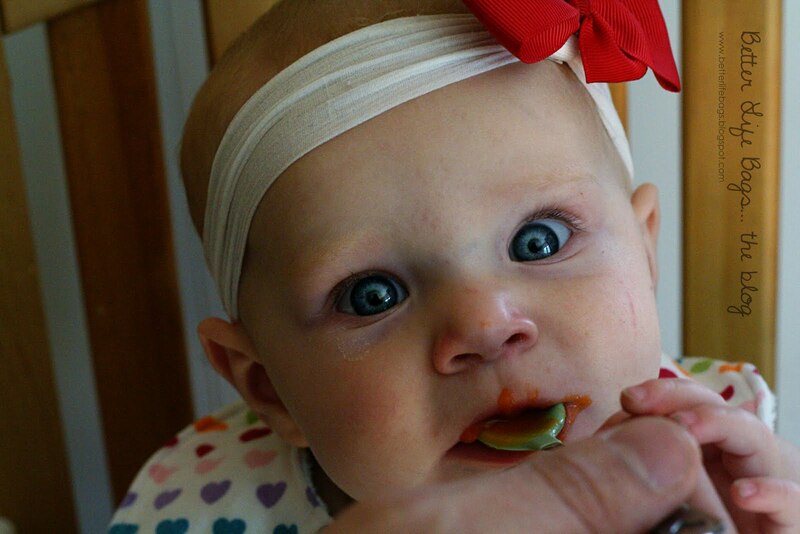 She had her first taste of food! Oh this little one likes to do everything herself! Good thing for that bib! 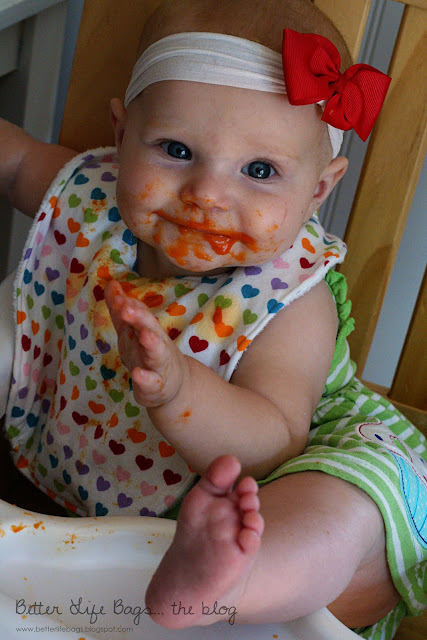 It was such a blast, she propped that little leg up and relaxed for the rest of the meal. 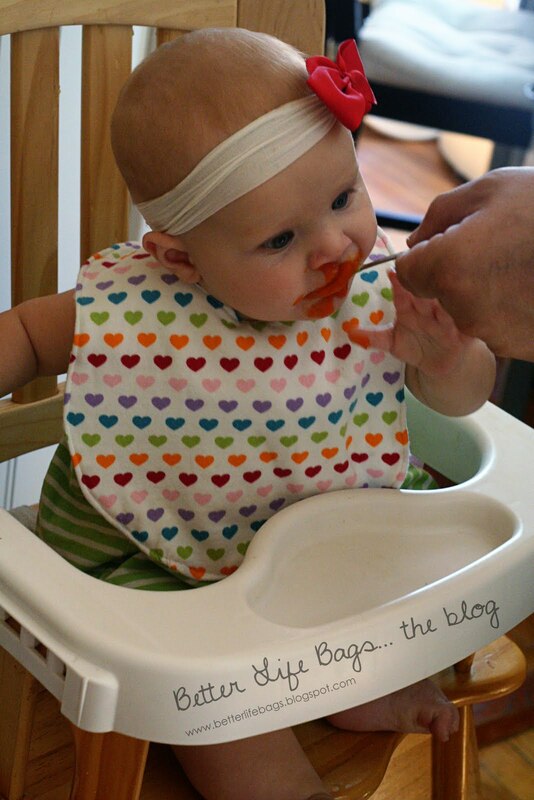 Did you know that bib used to be a child's t-shirt? Did you know I have a tutorial on how to make them? 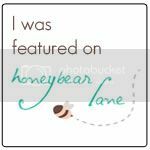 Did you know it was PINNED ON PINTEREST! 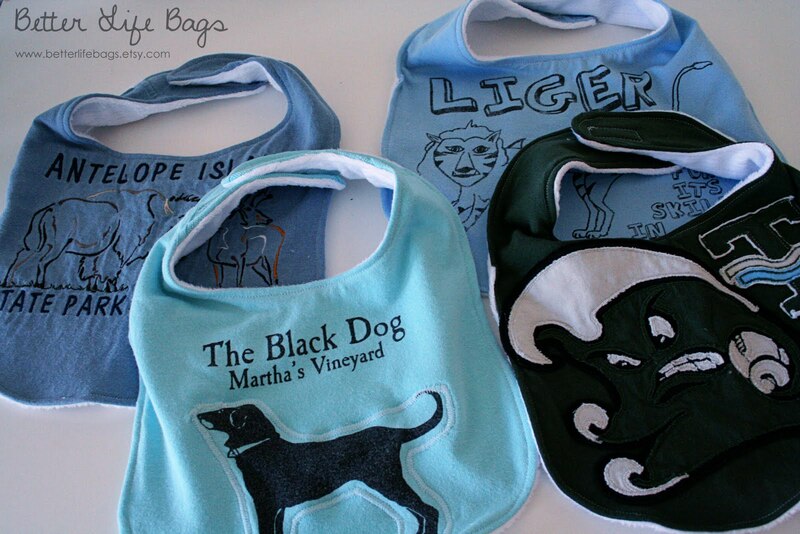 Did you know that you can send me your old t-shirts and I'll make them into these bibs for $12/piece? That's what one recent customer did. 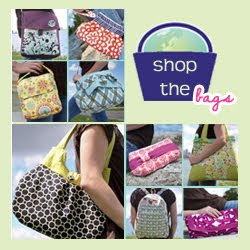 What a fun way to keep those old t-shirts with sentimental value around longer. 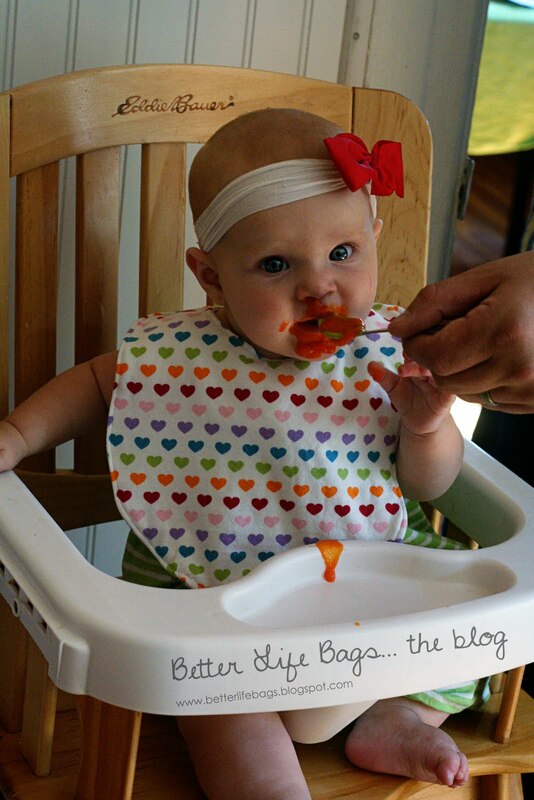 Hope you like your bibs, Sara! 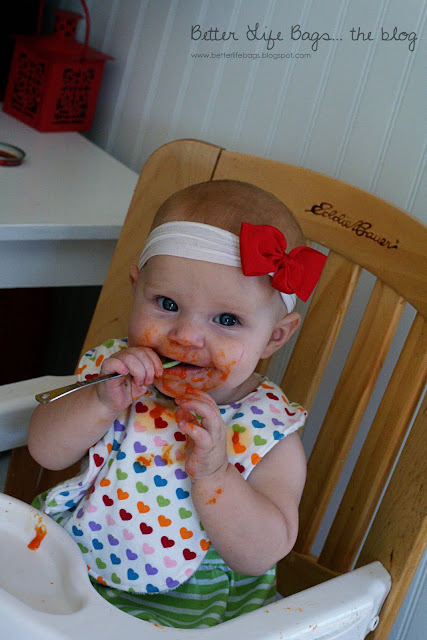 And here is a review from a previous happy customer of custom bibs. 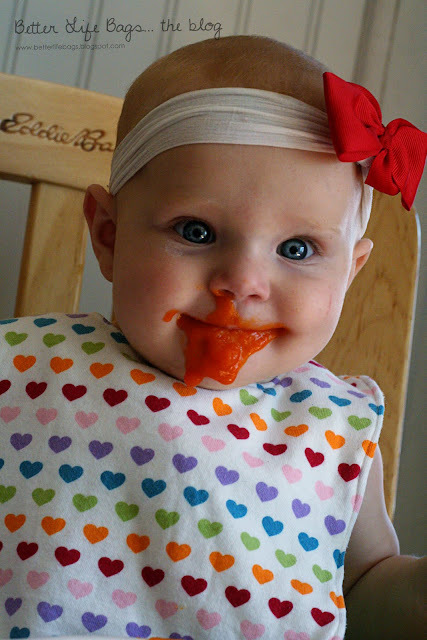 "I have two of these bibs, and they are great! The back side is such a soft material. 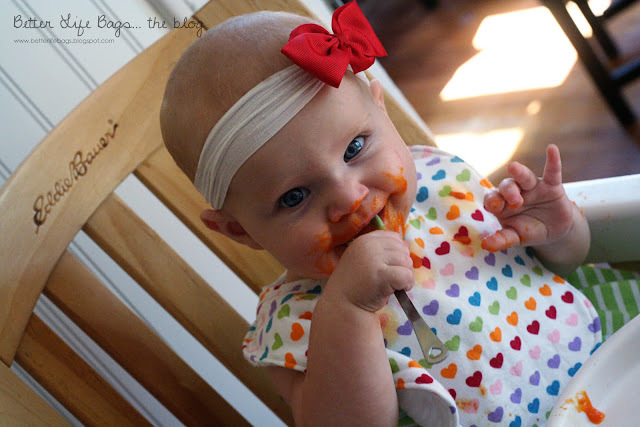 The bibs are a good size to catch all the mess a toddler makes feeding themselves. The velcro closure is easy and secure. Easy to throw in the wash. Love them. :)"